Neutral nylon fabric for white balance control. The translucent white umbrellas can be used either as a shoot through or bounce light to reduce shadows and produce an even, soft, low contrast light over a relatively large area. Professional long-lasting construction for easy portability. 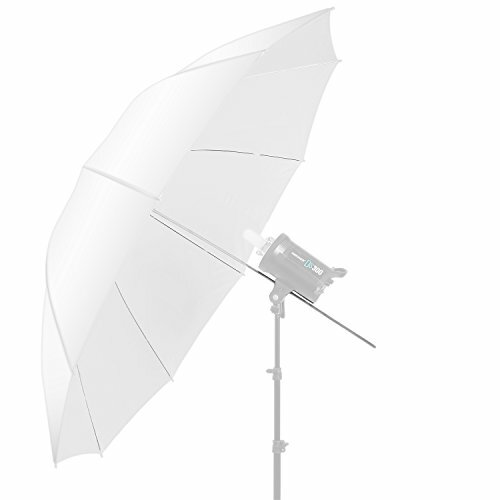 Simple light modifier for studio and location applications. Size : Subtense Diameter: 60"
If you have any questions about this product by Neewer, contact us by completing and submitting the form below. If you are looking for a specif part number, please include it with your message. Impact Convertible Umbrella - White Satin with Removable Black Backing - 45"